Pentesting is a funny thing. Someone will drop some new way of doing something and then you get to reflect on all those missed opportunities on previous engagements. I remember when MC showed me all the Oracle stuff and I reminisced about the missed shells. This post and part 2 is like that for me. I can't count the number of times i've had access to the folder full of an organization's virtual machines. I knew you could download the raw disk (vmdk) and use tools like volatility on them to carve out useful pieces of the file system but not memory. This of course sent me down the rabbit hole to see if I could do it. 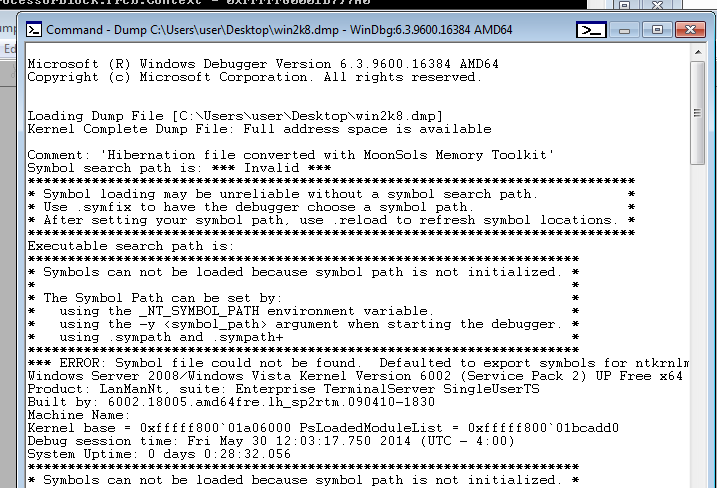 Gotcha #1: The free version of Windows Memory Toolkit limits OS and architecture you can do this on. Restrictions are 32bit up to Windows Server 2008. 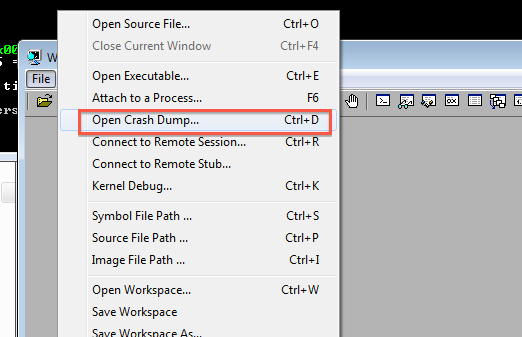 Convert raw memory dump images into Microsoft crash dump files. Looking for kernel variables... Done. Total time for the conversion: 0 minutes 14 seconds. DirBase: 2e89f000 ObjectTable: fffff880056562c0 HandleCount: 1092. There were a few other gotchas for Windows 8 and Windows 2012. I'll put that in part 2. Maybe this is something you planned to cover in part 2 but you can also convert the images with volatilty raw2dmp. Nice work CG, fun one. Time for me to start scraping shares for .vmem as well. Great post, I was in the middle of something before I decided to check your blog out for any updates. Now I catch myself going down the rabbit hole as well.